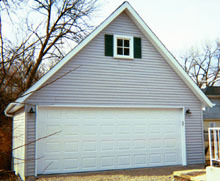 Gable garages are one of the most common types of garage. 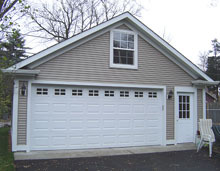 This simple, yet practical style of garage offers numerous possibilities. 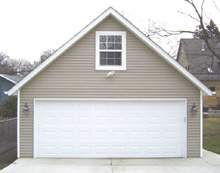 What is a gable garage? With two sloping sides that come together at a ridge, gable garages are built to match the gables on your house, with the triangular gable facing the front. A build up of snow (which is common in the Chicagoland area) on a roof can be damaging, and even cause roof cave ins. 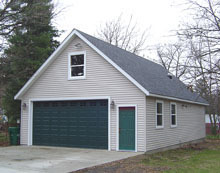 Therefore, the steep slopes of gabled garages are advantageous in areas that have a lot of snow in the winter. 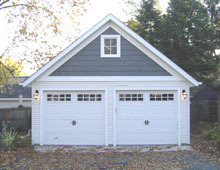 Looking for the Gable Garage of your dreams?